The man on the far left is Jimmy Southam, who was the trainer in the mid-fifties. In the mid-60’s he worked with my father in the leather trade at H. B. Case, Hatherton Street, Walsall. 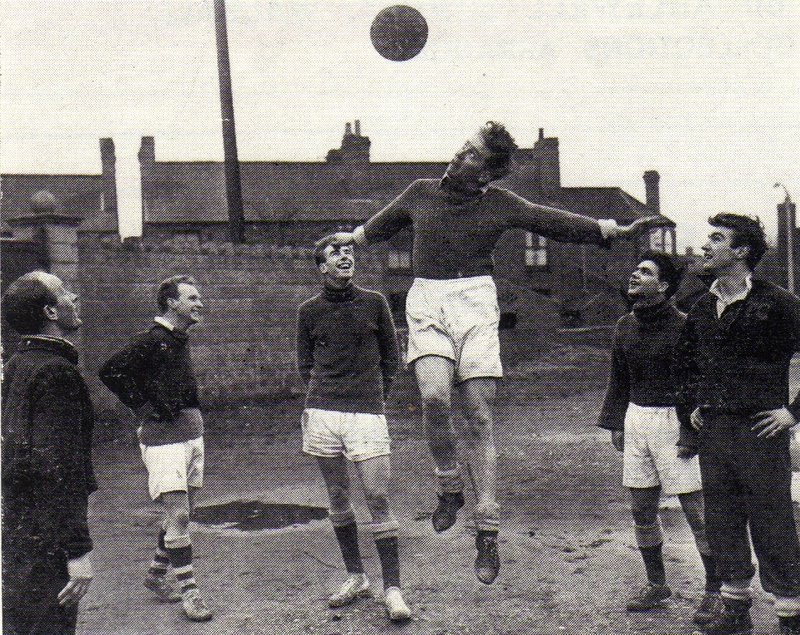 This picture, exact date unknown but probably somewhere between 1955 and 1957, appears to have been taken on the car park at the rear of the Hillary Street entrance and features Freddie Morris, heading the ball, with team mates Ken Hodgkisson and Peter Billingham to the left of the picture. Can anyone identify the man on the far left and the other two players to the right?